During my 16 years of experience as an attending cardiac surgeon, I have found myself surprised about good outcomes in times where the odds where overwhelmingly against the patient. But also, I have been surprised by patients that were supposed to do well but didn’t. In other words there are situations that go against certain medical traditions, dogmas and statistics. Any physician will remember certain cases that have been unique for different reasons; strange or unusual disease, a complex procedure or an unusual procedure etc. I am not the exception, there are a cluster of cases that I deeply upon each time I remember them. I can’t share with you details for obvious reasons, but I can share with you the drama of the decision making. Before, I continue it is pertinent that we all agree that medicine and technology has advanced so much that nowadays, we are treating very difficult and complex processes. But also, there is potential to create situations where patients are “alive”, struggling to survive for weeks and yet if they survive – their quality of life is horrible. Furthermore, the issue of when to stop or when to realize that intervention is futile continues to challenge doctors. 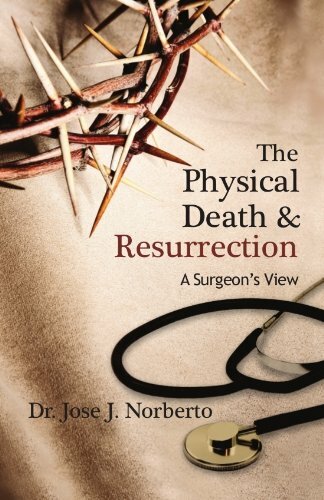 There have been a couple cases that I thought the patients were going to die for sure or come out of surgery with a huge catastrophic stroke, not because of the surgery itself, but because of the illness that brought them to the hospital in first place. One of the cases, I told the family that their beloved one had a fifty / fifty chance of survival, which was my mistake, in fact the patient only had ten percent chance of making it out of the surgery alive. The son said to me, “Doctor, what are you waiting for?” At that time I realized that I made a mistake by saying fifty / fifty. To my surprise that patient survived and had a great recovery, living for another ten years. The case that I just described made me think about several things: How many times a patient like that has been turned down? But also, why did I say fifty / fifty? This last question has stayed in my mind since that time. Maybe that mistake in the survival projections might have saved the patient or most importantly, it was not his/her time and the Lord had a different plan for that family. Most recently, I had a similar situation but even more critical - yes more critical! It was the same catastrophic disease with extra component of negative signs which could be described as a “Lethal Injury." This time, I started to express my concerns about poor outcome to the other physicians while we were working on “stabilizing” the patient. My major concern besides death was major stroke. So I went and talk to the daughter, and this time I specifically said, “It is near impossible that the patient will survive this injury, less than 10% chance of survival and if the patient does survive there is an overwhelming chance of stroke." I must say that I presented a very sad, hopeless scenario. The daughter asked me to do everything I could. So you can understand the issues better; as a physician, I want to help my patients and their families. But sometimes, no matter what we do we can’t reverse certain situations. Instead sometimes it just prolongs their agony and suffering. That isn’t what I signed up for. I am sure you are asking, what happened in this last case? To my surprise, the patient survived the surgery without any brain damage. This decision process about when to intervene or when to stop can be very complex and continues to challenge us.